29/08/15. Shaqlawa, Iraq. -- Sabah, 48 y.o. from Falluja inside her house, in the basement of a residential complex. 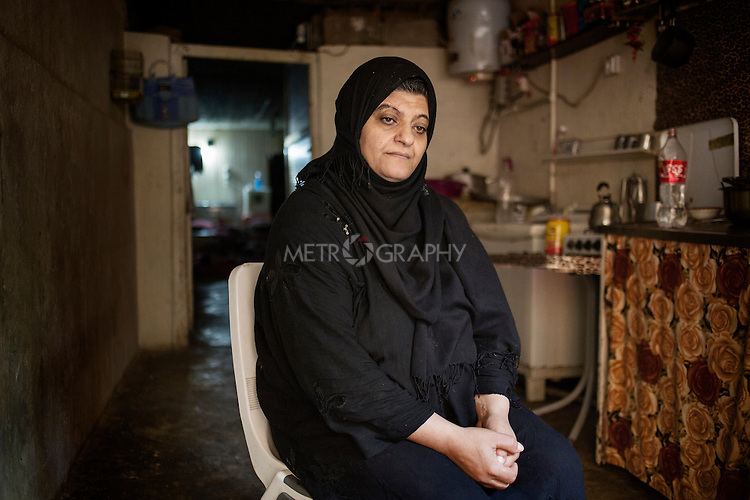 Sabah left Falluja when the bakery of her son Omar was hit by a barrel bomb which killed him. She lives with her 4 children and pay 350.000 IQD for rent each month. He husband lives in Baharka camp, Erbil with his new wife, and only comes to Shaqlawa to freshen up when Erbil gets too hot. "I could not sleep last night: I was thinking of the rent, and how to pay it. I sold all we had just to pay rent, but now we have nothing left".